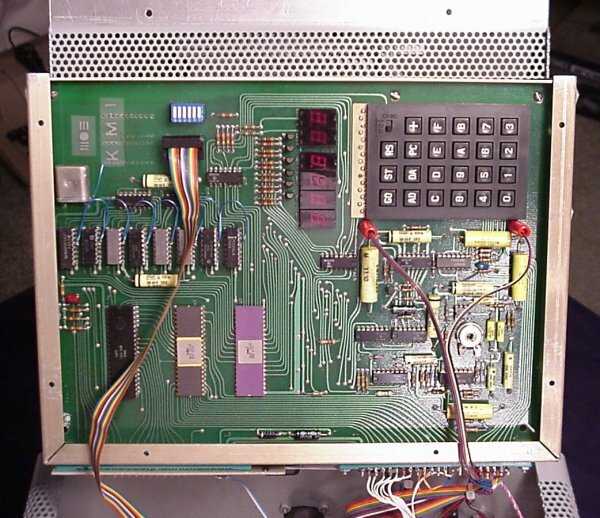 This is the very first computer that Commodore ever made. 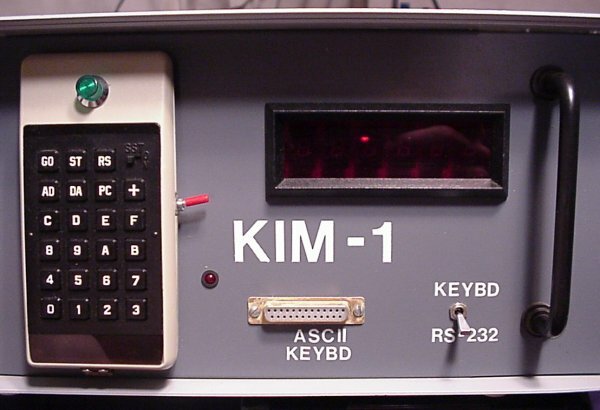 It's the single board KIM-1. 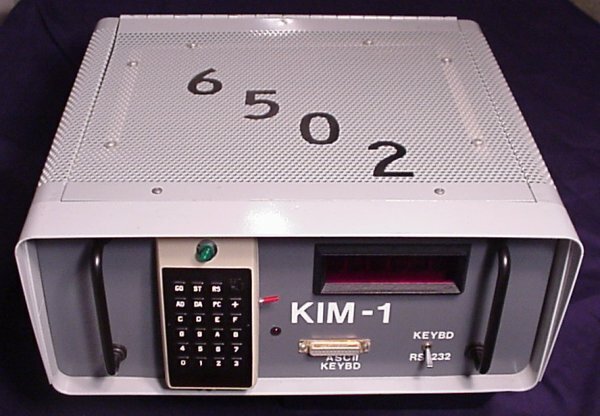 It has an on-board keypad and 6 digit LED read-out. 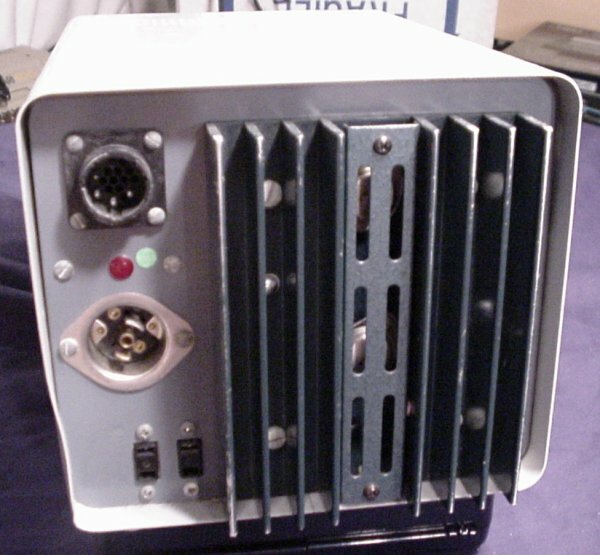 Of course, real techies didn't leave their single board computers just sitting out in the open. Oh no. They built really cool cases for them. 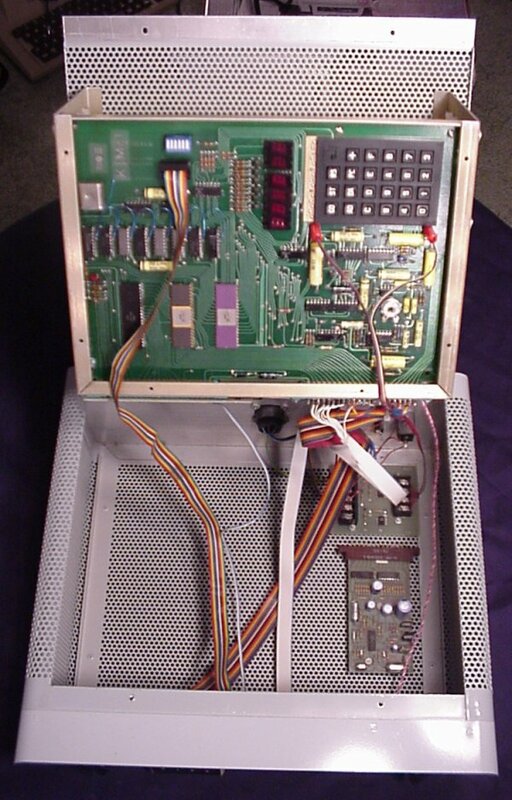 This particular case featured a flip-top, a card cage for the RAM board, an extension of the keypad and display to the front of the enclosure, a bunch of connections on the back and a terminal hook-up. (And, of course, the required switch to choose between keypad and terminal.) There's also a very manly external power supply. Close-up of the faceplate, showing the display and all the cool switches. 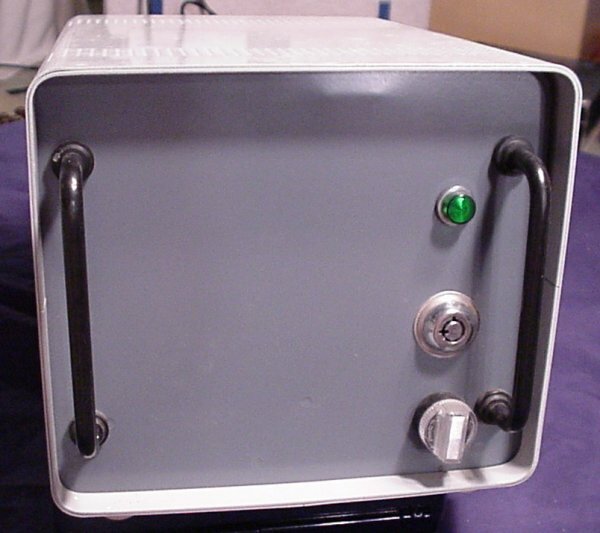 Front of the enclosure. 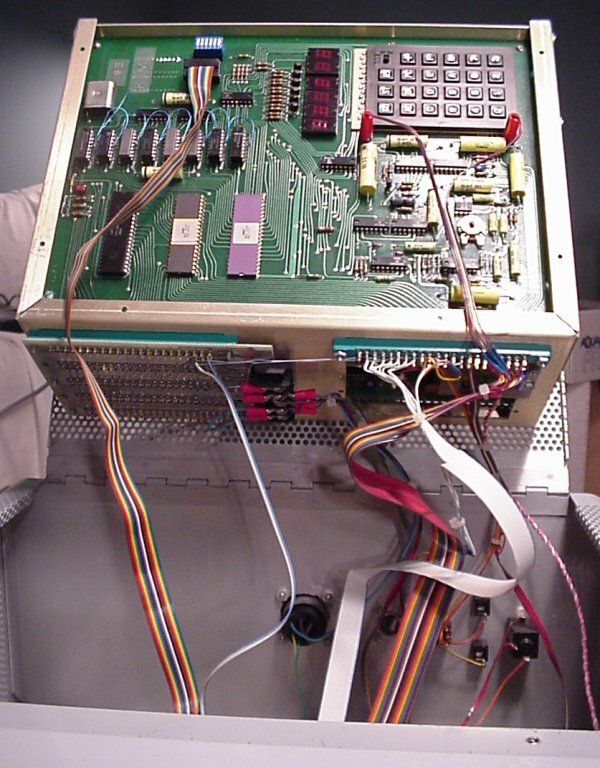 The big "6502" refers, of course, to the famed chip that ran the whole Commodore line up to the Amiga. 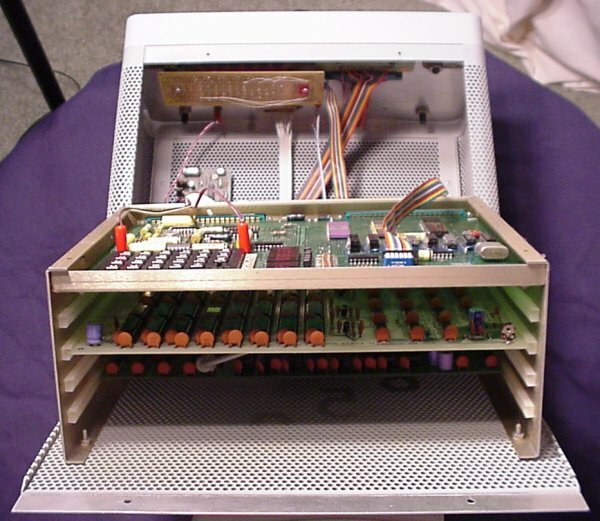 Front view, looking down into the case. 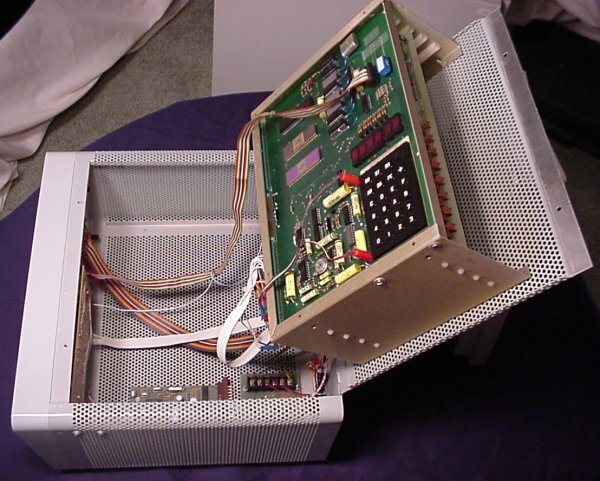 Side view, showing the depth of the card cage. Looking straight into the card cage. Underside of the card cage. Close-up of the backplate. 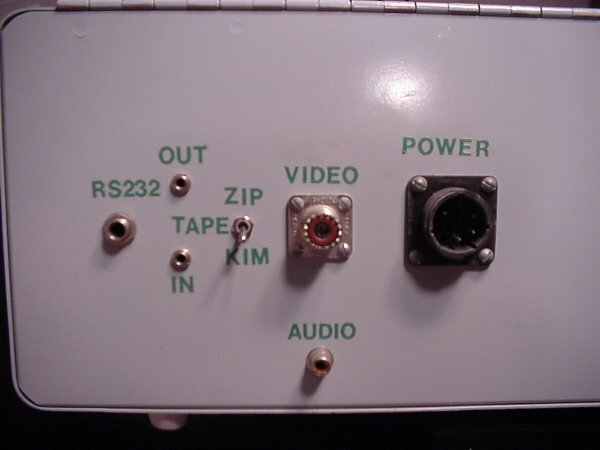 Audio, video, tape in/out, serial, and power. 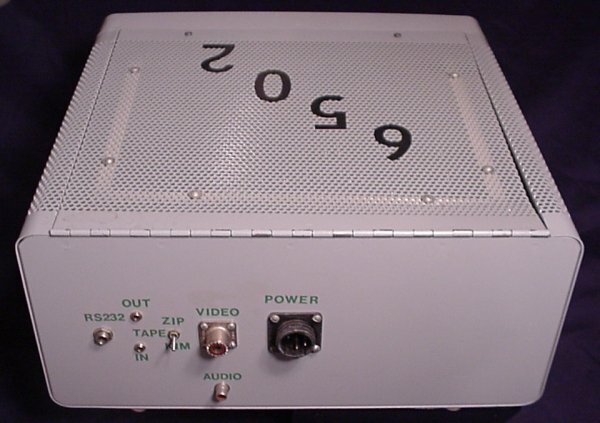 Shot of the back, showing the "6502" on the top. 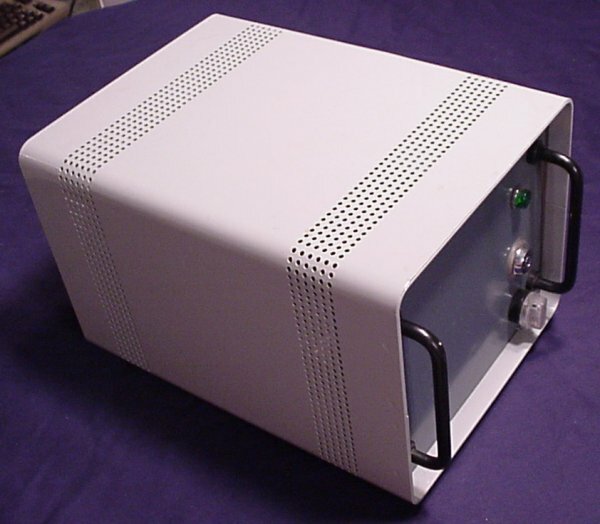 External power supply. The handles on the front are not just for show. This thing is heavy! Close-up of the front. Yes, you need a key. Close-up of the rear. Now those are manly power hook-ups! And talk about cooling fins! Here's the whole system. This gives a better idea how large the power supply really is. 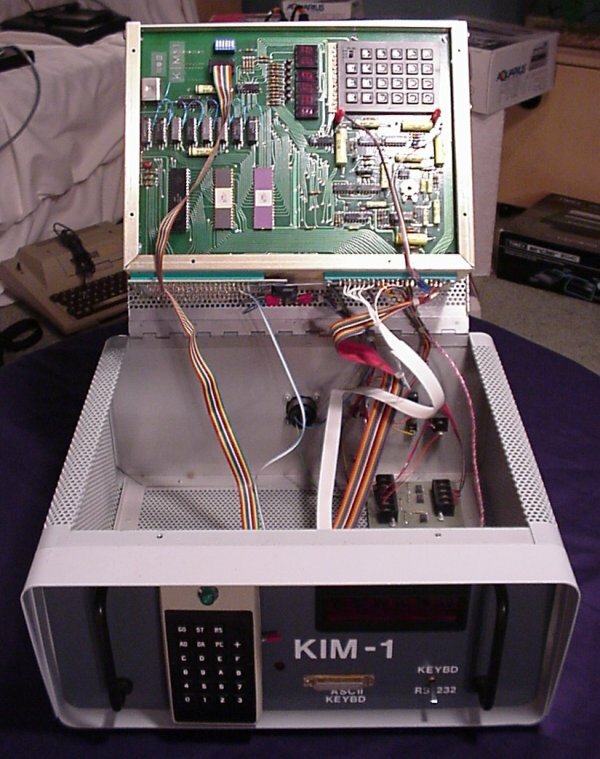 Click here to view all comments for the Commodore KIM-1 and to leave your own.